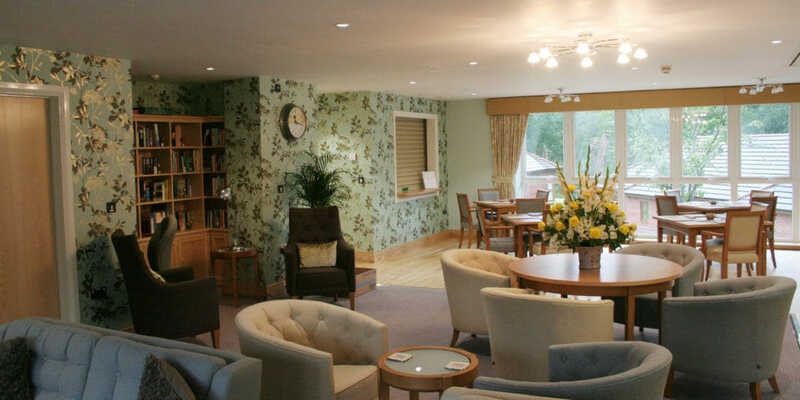 Gittisham Hill House sits at the heart of Gittisham Hill Park, a retirement village for the over 65s near Honiton in Devon. Residents live independently in bungalows nestled in the 12 acres of parkland or, if they have greater care needs, in the house itself. 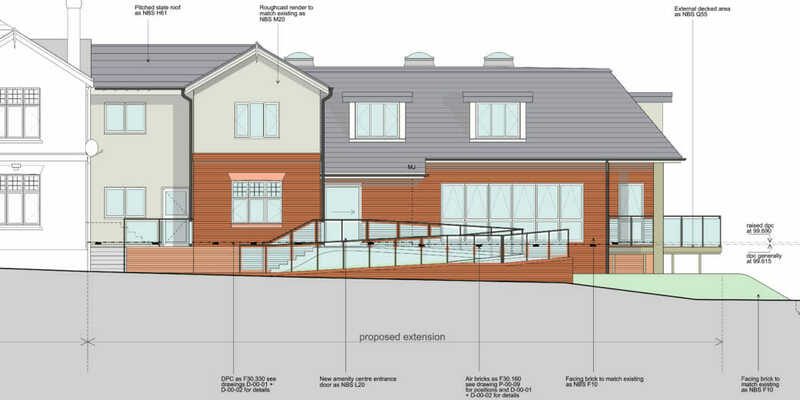 DKA was appointed to extend the house, creating additional dementia care bedrooms and a new clubhouse for the independent residents. 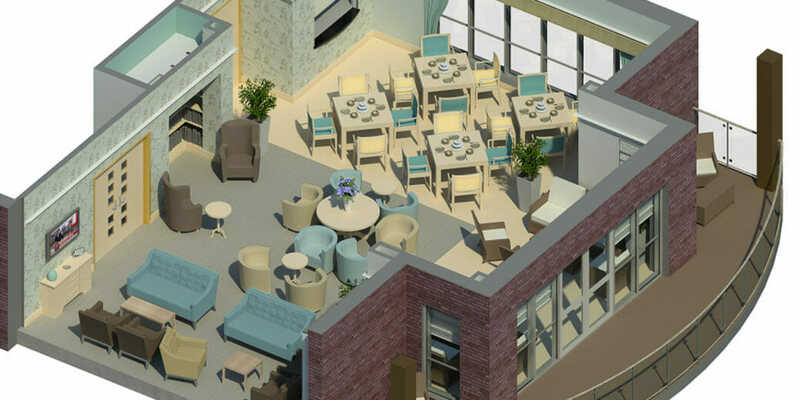 The design of the care facilities was developed with dementia in mind. 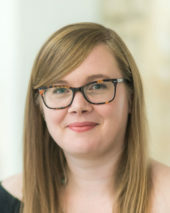 The 13 additional bedrooms have four restful colour schemes, to aid recognition of each resident’s bedroom and to provide a greater choice of living environment, and memory boxes were commissioned to further aid wayfinding. Rooms are furnished in a homely, yet practical, way and ensuite shower rooms facilitate independence. We had fun with the corridors, giving the ground floor and first floor a distinctly different feel. This provided the opportunity to use artwork and accessories to develop interesting spaces that inspire reminiscence; our Interiors team created a vintage fashion display adjacent to posters of 1950s film stars in one area and old railway posters and seaside-themed accessories to help inspire memories of childhood trips to the Devon Riviera in another. Specially sourced signage also helps residents find their way. 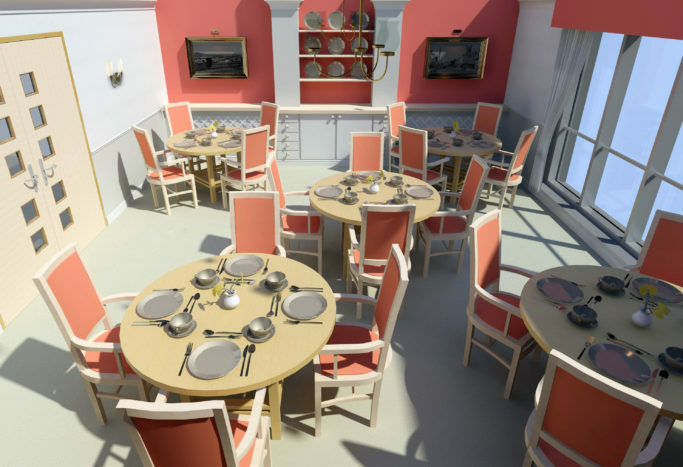 The increase in bedrooms also required expansion of the communal facilities; a new dining room uses a strong orange feature wall, a colour thought to stimulate appetite, and is served by a modern catering kitchen. 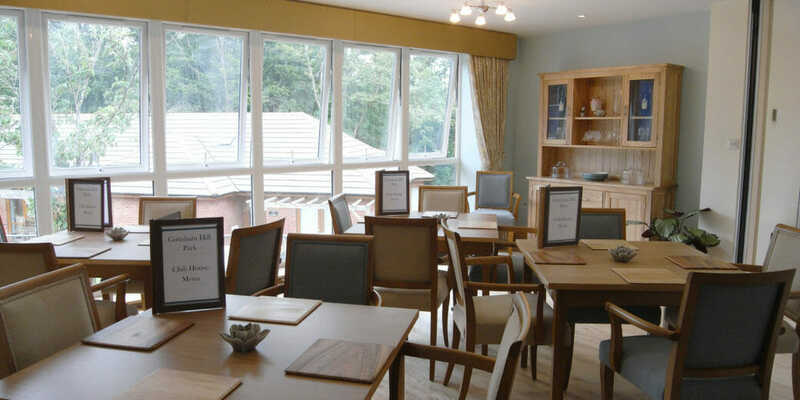 The kitchen is also connected to the servery area of the new ‘clubhouse’ and can be used by staff catering lunches and events or by residents themselves. 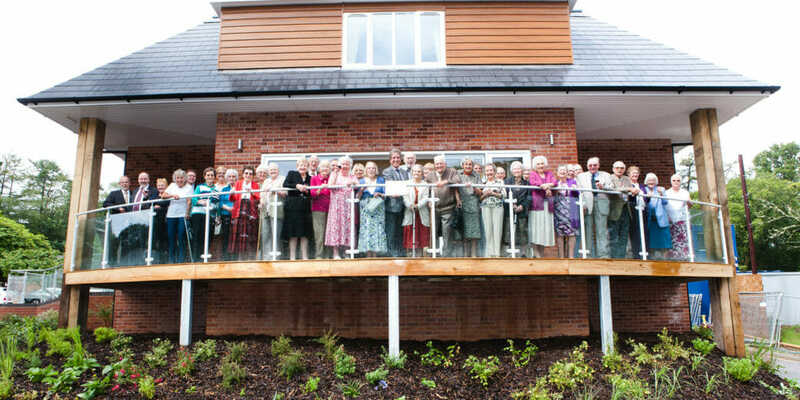 The clubhouse is the hub for social activities within the village. The space is zoned to create a comfortable lounge area, library and computer area, dining area and activity space (with timber floor for dancing!) and can be used as one large multi-functional space or divided into separate rooms using sliding moveable walls. 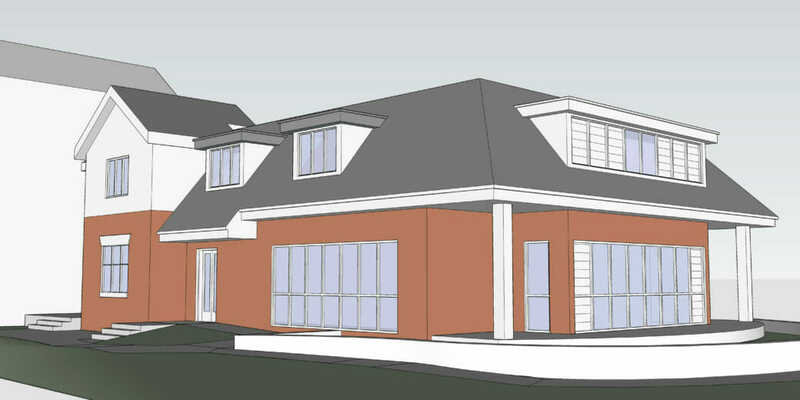 The clubhouse also opens-up to a partially covered deck area, allowing residents to enjoy views out into the parkland.